What better way to learn about the night sky and astronomy than to immerse yourself as a virtual astronaut travelling through space. This experience is the perfect way for both the young and old to let their inner child experience the thrills of embracing the final frontier. - Virtual Reality is best experienced running at 60 frames per second. Most high end modern phones will provide you with smooth frame-rate (a result of processing speed) and seamless head tracking (a result of sensor update speed and accuracy). 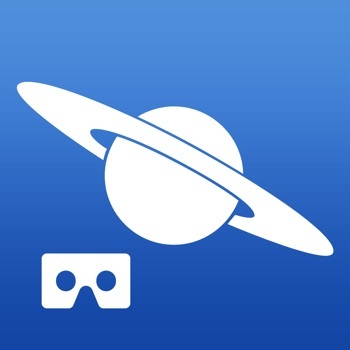 Star Chart for VR was developed on an iPhone 6 and runs beautifully on this and higher end devices. - Written from the ground up for Virtual Reality, Star Chart VR is in many ways a superior product to the original Star Chart, but please do not expect full feature parity. We will continue to develop and enhance Star Chart VR over time, so at some point Star Chart VR may reach parity (where applicable), but there are no promises.